Oakwood Labs, headquartered in Cleveland, OH, is an emerging, technology-based specialty pharmaceutical company focused on hard-to-develop generic and quasi-generic, sustained-release and small molecule injectables, as well as contract manufacturing. Since 1997, Oakwood has been committed to developing pharmaceutical products that provide enhanced therapeutic effects for patients. Oakwood is an industry leader in sustained-release injectable pharmaceutical development, developing and owning a patented microsphere-based drug delivery platform – called Chroniject™. Oakwood’s vast expertise and capabilities in pharmaceuticals have led us to work on development of small molecule injectables. Oakwood can provide full formulation development and manufacturing of these products, while partners bring regulatory and sales and marketing capabilities. 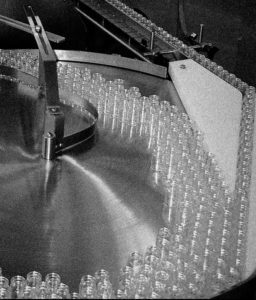 To complement our formulation expertise and enhance partnering and development activities, Oakwood built and operates a sterile injectable cGMP manufacturing facility, FDA approved for commercial product manufacturing. 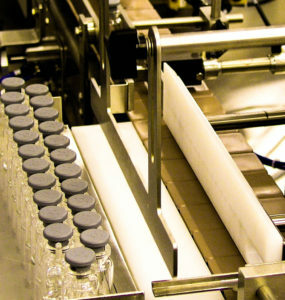 Oakwood currently has capacity to manufacture sterile injectable products for partners. Oakwood continues to seek both contract and strategic partners. Please contact our Business Development team for more information. The concept of Oakwood Labs was born at Ben Venue Laboratories, the largest and most experienced parenteral company in the world. Ben Venue was seeking to develop products with high barriers to entry and saw an opportunity in sustained-release parenteral products. In 1997, Ben Venue spun off assets related to its technology as a separate entity – Oakwood – when it was acquired by Boehringer-Ingelheim. Oakwood’s founders, Edward C. Smith and Mark T. Smith were senior executives at Ben Venue and were responsible for starting the company’s generic division, Bedford Laboratories.